In the publishing world, a lot of people talk about the importance of creating evergreen content – that is, content that is likely to have a long shelf life and be relevant all year around. While it’s true evergreen content is a good investment for your site, there are also lots of ad opportunities for seasonal content that can be very lucrative. Seasonal content may only attract traffic for a short time each year, but during that time period it can bring in a rush of visitors that more than make up for the lull experienced the rest of the year. 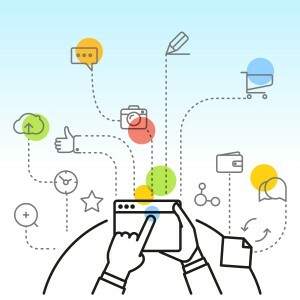 As an added bonus, sometimes the keywords associated with that content can be pretty competitive among advertisers for that time period so the CPC values of ads that target those same keywords will be higher than average. When you combine the potential for high traffic and for high CPC rates on the page, it becomes very worthwhile to invest in the creation of high quality content to take advantage of the opportunity. One of the reasons why people are reluctant to create seasonal content is because they believe that it will only be relevant for a few weeks (at most) and then will be dead forever. That may be true for certain types of articles like Christmas buying guides or lists of trendy Father’s Day gifts, but if you get creative, you can find topics that are likely to resurface each year when the appropriate season rolls around. For instance, suppose you have a travel site. If we look at the phrase “skiing trip” in the AdWords Keyword Planner tool, the search volume trends are what we’d expect. Search volume starts to climb as the weather gets colder, peaks in mid-winter and then falls again for the spring and summer months. If we were to start brainstorming content to create around this topic, one of the first things that might come to mind is a list of budget-friendly destinations for skiing trips. That may be a good subject for an article or travel guide, but depending on circumstances, the contents of that article may need a lot of updating when the next skiing season rolls around. Then, when next year gets here, the content might do even better than it did before because it’s still topical and relevant, and it has the added bonus of already being established in search engines. The most obvious subjects to build seasonal content around are major holidays and the four seasons. As in the example earlier, winter topics could relate to skiing and other winter sports, Christmas, New Year’s resolutions and cold-weather activities. Summer themes include family vacations and outdoor cooking. In spring, more people are interested in gardening. During the late summer and early fall, anything related to back-to-school gets more traffic. There are other types of holidays and observances you can take advantage of as well. For example, tax season in the United States runs from January 1 through April 15. Coinciding with the end of that season, April is Financial Literacy Month. Personal finance sites can get big boosts in traffic during this time period. A number of other months have special designations, too. As examples, February is Black History Month, and October is Breast Cancer Awareness Month. You may not think of breast cancer as a seasonal topic since it does get a lot of searches year around, but as you can see in the screenshot below, the search volume for the topic spikes significantly in October due to the national observance. You can find lists of other special observances and unusual holidays at HolidayInsights.com or by going to Wikipedia and search for a specific month (see the Wikipedia entry for May here). While not all of these holidays signal higher advertising budgets, many do attract additional traffic that could indirectly increase your ad earnings. Once you come up with a list of ideas, there are several tools you can use to help find the best candidates for new content on your site. Here are a few that are either completely free or have free versions. 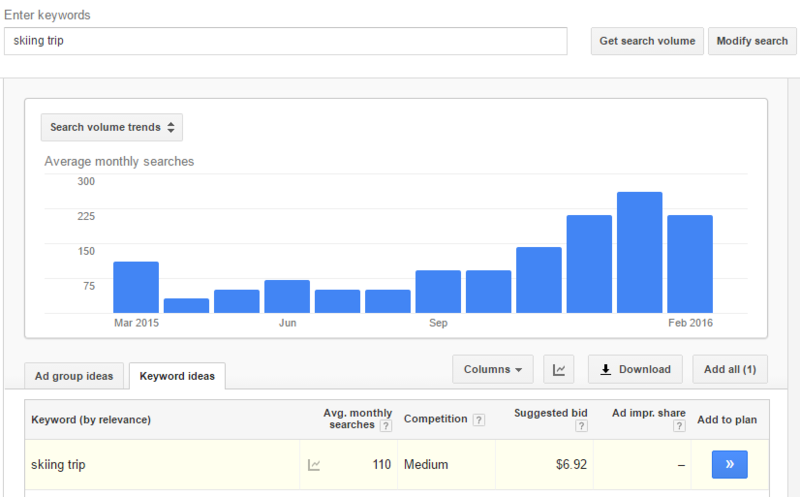 Google AdWords Keyword Planner – As in the examples above, you can use the AdWords Keyword Planner to see which months have the highest search volumes for different keywords. 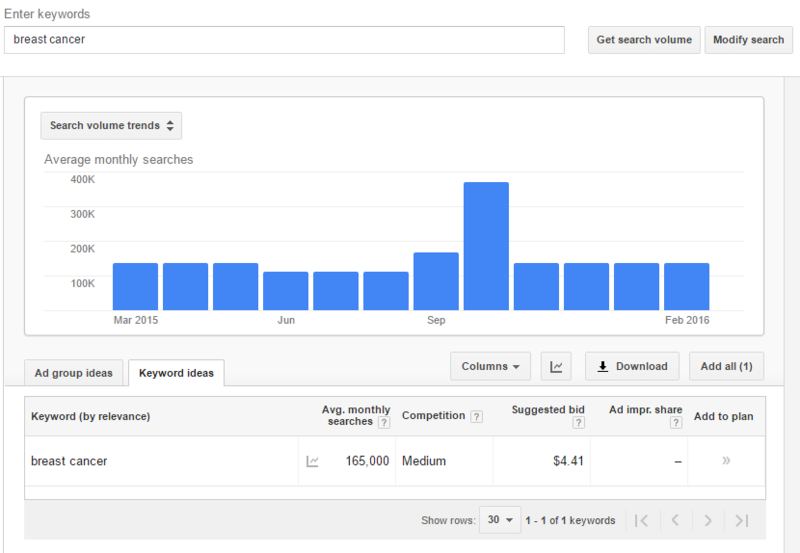 Google Trends – It’s a good idea to compare the information you find in Keyword Planner with that in Google Trends to make sure that the keyword really is seasonal and not just an unrelated spike. SEMRush – With SEMRush’s free tool, you can get additional information such as related keywords, what types of ads are being shown for those keywords and how competitive the topic is. SpyFu – SpyFu gives information similar to SEMRush but presents it in a different format. You probably won’t need to use both, but you may want to try each of these tools to see which one you like better. To get full value for the seasonal content you create, start using an editorial calendar and plan a few months ahead. This doesn’t have to be super formal unless you want it to be. It could be as simple as a spreadsheet in Excel or Google Docs that lists potential ideas along with planned publish dates and the time period when each topic has its highest search volume. Or, if you have an editorial team, you can use a free tool like Trello or Asana so that everyone can collaborate on topic ideas. These tools also let you attach due dates to items and assign them to writers and editors so you can better manage your editorial workflow. Even if you focused on creating seasonal content that would require little or no updating, it’s still a good idea to mark a date on the calendar to remind yourself to give it a quick check next year. It might even be worth spending 10 minutes or so to refresh the article by adding a new image or an extra paragraph or two with a new idea you had after publishing the original item. If you’ve created additional content on the same topic, this would also be a good time to cross-link that material. If you do add more information to the article, you may also want to note that fact at the beginning or end of the piece for the benefit of readers who have seen the article before. Whether you make any changes or not, don’t forget to re-promote the content on social media – and in your current newsletter if you have one.